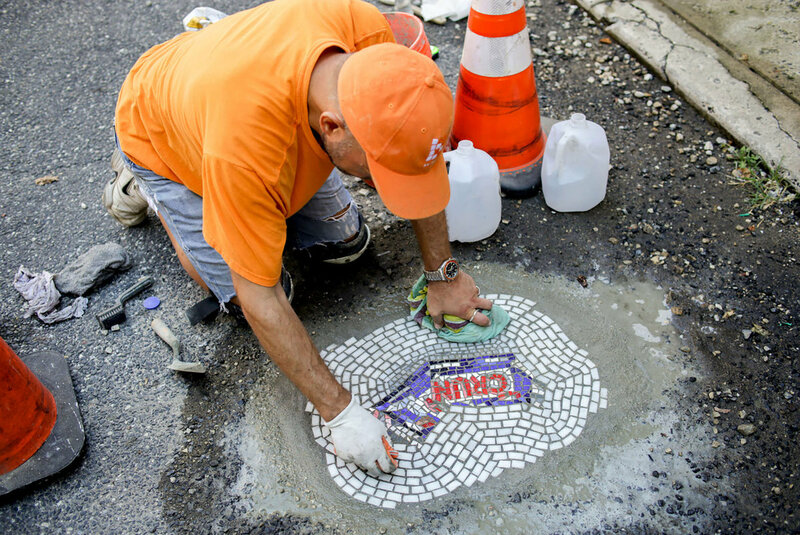 Back in June, I posted about Chicago-based artist Jim Bachor who took it upon himself to tackle the city’s pothole problem by filling them with handmade tile mosaics. He’s recently popped up again with a new approach to his guerrilla pothole repair. He’s transitioned from mosaics featuring arbitrary serial numbers and simple descriptions (e.g. “POTHOLE”) to beautiful floral designs. 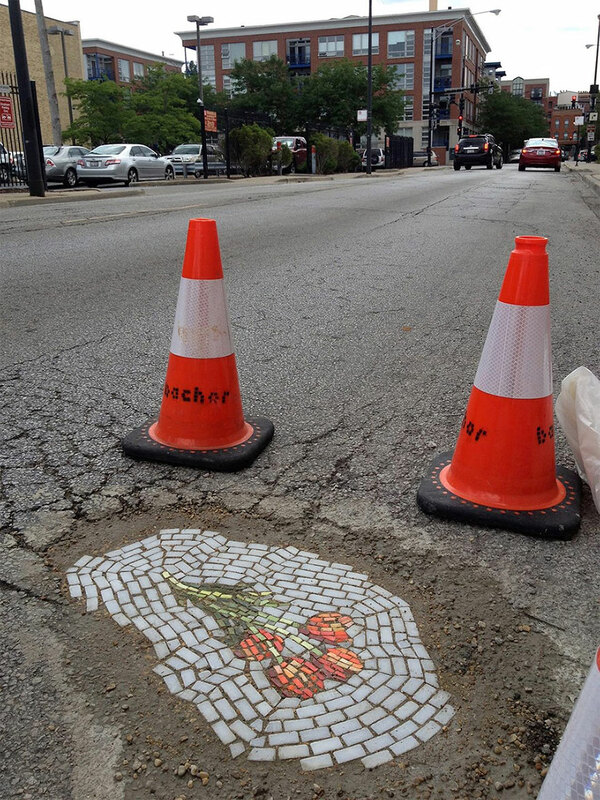 So far, Bachor has given his floral mosaic treatment to four potholes throughout Chicago; locations and photos can be found on his website. He’s also been commissioned for some truly beautiful installations, photos of which can also be found on Bachor’s site. 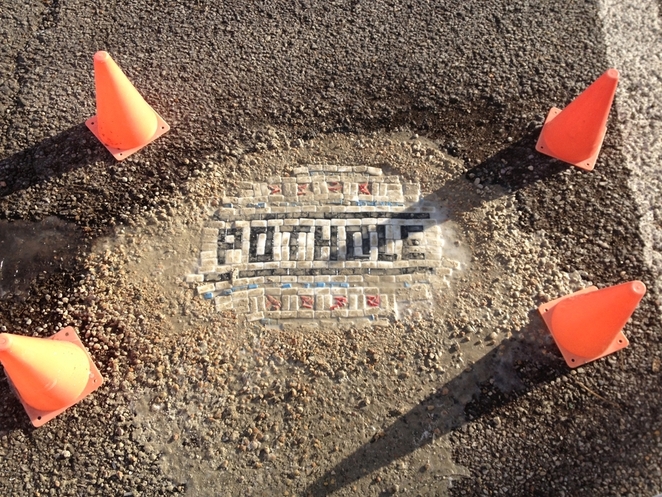 This entry was posted in Art, Jim Bachor, Mosaics, Street Art and tagged art, chicago, jim bachor, mosaics, pothole mosaics, potholes, street art on January 8, 2015 by Robert DeCarolis. After the winter season, city streets can wreak on your car. Winters in Chicago can be especially harsh: a recent pothole count reached the 600k mark. Sometime in 2013, Chicago artist Jim Bachor decided to rectify this problem with the art of handmade mosaics. While we tend to keep our focus on photo mosaics, we like to keep our ear to the ground with a wide range of mosaic projects. This project in particular really caught my attention. This entry was posted in Art, Jim Bachor, Mosaics, Street Art and tagged art, chicago, jim bachor, mosaics, potholes, street art on June 12, 2014 by Robert DeCarolis.